Could you imagine if Pump Restaurant was actually called Leakes Restaurant instead? Apparently, that almost happened. 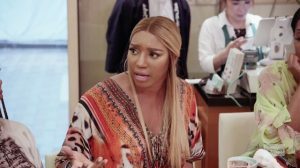 NeNe Leakes claims that she was the person who originally wanted to run a restaurant at that property. Not only that, but she also says that Lisa Vanderpump convinced her not to pursue the project. Did she trick NeNe out of buying it so she could do so herself? Could you imagine going from being a Real Housewives superfan to actually interacting with them? 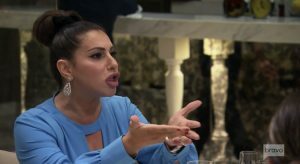 What about being in a feud with one of the Housewives? That sounds both thrilling and terrifying, depending on the Real Housewife, of course. Jerry O’Connell and Rebecca Romijn have been very vocal about their love for the Real Housewives franchise. They’ve both appeared on Watch What Happens Live many times to share their opinions (and throw some shade). They’ve even hung out with the Housewives outside of WWHL. Usually, they’re well-received by the Housewives, but that was not the case when they met Brandi Glanville. It’s hard to believe, but it was only one month ago that Andy Cohen dropped the bombshell news that he is going to be a father. During a Watch What Happens Live holiday episode, he shared that his first born child was due in six short weeks. 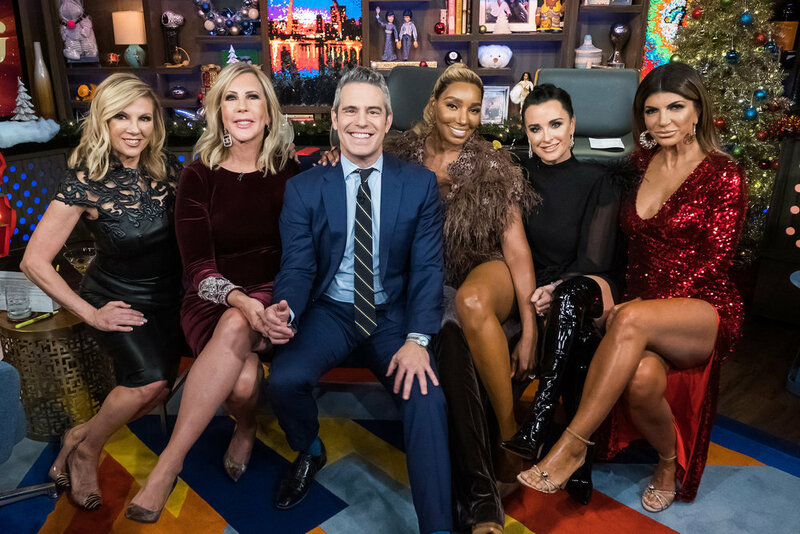 Andy’s guests that evening, the OG Housewives crew of Kyle Richards, Teresa Giudice, Ramona Singer, NeNe Leakes, and Vicki Gunvalson were overcome with joy. A short time after that, Andy announced to Anderson Cooper on CNN’s live New Year’s Eve show that he is having a boy. I wonder how Wacha feels about the news of his new baby brother? 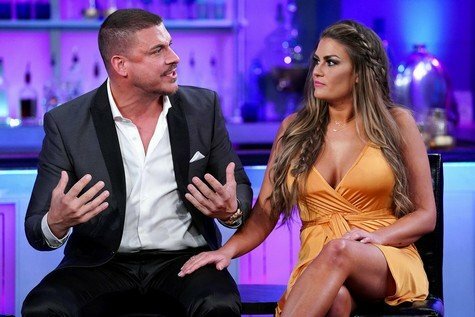 The Vanderpump Rules staff should write the playbook on bad decision making. Just this season, James Kennedy got fired from SUR for body shaming Katie Maloney.Then, Stassi Schroeder had another birthday meltdown and texted her boyfriend Beau Clark 70 times. Ariana Madix crossed over to the dark side and joined the witches of WeHo (aka Stassi, Katie, and Kristen Doute). And then there’s Scheana Marie, who proudly displayed fifty pairs of the same sunglasses in her new apartment. At least get different colored frames, Scheana! Porsha, Porsha, Porsha! The current Real Housewives of Atlanta season is all about Porsha Williams. 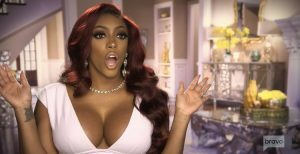 If Porsha is not in a scene, the other women are talking about her. It makes sense though. She has a lot going on. She is in a new relationship, she’s pregnant, and she’s still infuriating Kandi Burruss. What’s everyone else doing? Oh, right: nothing. This season needs to end! Or the ladies need to step it up! They need a casting reboot, for sure. At this point, Porsha is carrying the show on her back.